We seemed implicitly to agree with this diagnosis, for no one tried to explain the system, as opposed to indicating that we were keen on a change. This has in fact been the consensus in Sri Lanka for nearly two decades now. Unfortunately, in spite of this broad agreement, we have failed to do anything about it, though this government has got closer than most in that it actually brought forward a bill to reform, if only to a limited extent, the system for local elections. The present system is clearly pernicious. I believe it has no equivalent anywhere in the world. Proportional representation systems often allow voters no choice within party lists, on the grounds that individuals are elected solely on the basis of party affiliations, and therefore the party should decide who is best suited to be in Parliament. This is an understandable position, but so is the converse, that the voter should be allowed to indicate a preference with regard to who will represent him. But, where this latter principle is accepted, voters are allowed a single preference, or transferable preferences. In such a situation, candidates are usually allocated areas by the party in which they alone campaign. Others may appear to support them, and voters who particularly dislike someone may allocate preferences to outsiders, a national figure or someone they particularly like. What is missing though is intense competition for one of three equal votes. 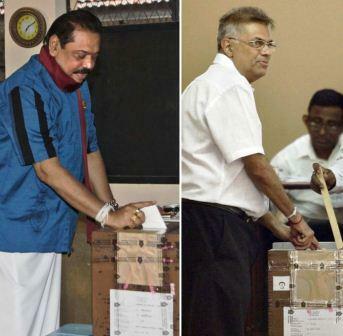 Given that in Sri Lanka voters can exercise three preferences, but not for the same person, naturally all candidates think it is open season and they must do their desperate best. 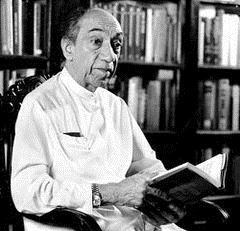 The system is indeed so mad, that only a perverse brain like that of J R Jayewardene could have conceived of it. Indeed I suspect this was yet another of the devices he developed to make clear his utter contempt for Parliament and Parliamentarians, once he had used the institution to elevate himself to an Executive Presidency with unbridled powers. Such cynicism was of a piece with his insisting that the whole Cabinet come from within Parliament, in contradiction of what he had proposed in his manifesto. The result is confusion between Westminster style democracy with its conflation of the executive and the legislature, and standard Presidential systems where individuals, if they have been elected to Parliament (which is not a necessity), give up legislative responsibilities if they accept an executive position. J R perverted the system early on, by creating a massive number of ministries, cabinet ones and non-cabinet ones and junior ones and district ones, so that there was really no chance of independent legislative review of any of the increasingly erratic measures he advances. As a result it has been difficult for heads of government to restrict the number of ministries, especially after the practice began of threatening revolt if one was not satisfied (a phenomenon J R did not have to face, since his hold on his parliamentarians was absolute). But even J R perhaps did not anticipate the chaos that his electoral system introduced to the executive authority. In a standard Westminster system, there are safe seats to which able people are given nomination, so they can be elected to Parliament and be given ministries without being deemed individuals without popular support. The practice extends also to able people brought in through the House of Lords, or for example the Rajya Sabha, which hosts a fair number of Indian ministers. But with no such devices in Sri Lanka, there is a tendency to see electoral success as the main criterion for advancement. President Premadasa added fuel to this fire, by suggesting that he would see who was more popular before he selected his Prime Minister. He could then sit back and watch the unedifying spectacle of Lalith Athulathmudali and Gamini Dissanayake striving to win preferences in the Districts in which they contested, and then advancing arguments to show that percentages were more important than raw numbers, or the opposite. 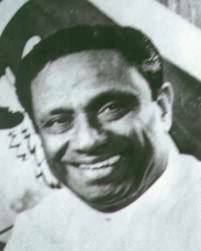 Typically Premadasa then ignored his suggestion, and appointed D B Wijetunge instead, a mistake that cost him his legacy, since cunning and resentment were infused in equal measure in that worthy gentleman. A consequence of all this is that any President has to accept the arguments of those who claim popularity on the basis of the preferences they amass in our strange system. Doubtless in many cases this is evidence of popularity, but in others it simply shows skill at getting preferences by whatever means lie to hand. In any case this is not evidence of administrative competence. But, since there is no other criterion available, such skills cannot be ignored – and then, naturally, they have to be honed so as to achieve similar success in the future too. In the process politicians of perhaps greater administrative capacity can be perceived or presented as less suitable for high office, on the grounds that they obtained fewer preferences than their peers. 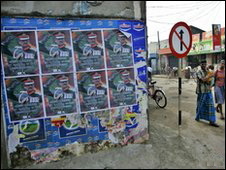 So we have a system that entails intense rivalry between candidates from the same party; that involves massive expenditure of a largely unproductive sort – posters, people to paste them, food and drink for the pasters, suborning of the police to protect them when they get out of hand as drunken poster pasters inevitably do when they come across others pasting other posters; that encourages the accumulation of wealth to spend on elections and promotes gratitude to those who provide support in cash or in kind for intense electioneerting; and also prestige that translates into greater political power for those who acquit themselves well in this system. It is not surprising then that the Indians, who have staff who can brief them well, as opposed to staff who are adept at pasting posters, asked us politely about our system. What is surprising is that, though everyone understands its drawbacks, there is no urgency about going ahead with reform. Seventeen years ago I remember we were told by those in charge of reform that the German system be introduced. This was what the Liberal Party had long proposed, only to be attacked in J R’s time for trying to introduce foreign practices. But in 1994 we found that, far from the German system being proposed, what was suggested was a modification to take advantage of assumed strengths on the side of the governing party in certain particulars. Naturally this caused dissatisfaction, with everyone then suggesting modifications in accordance to their own supposed advantage. The idea that we should work according to a principle, intrinsic in other democracies, seems to have flown out of the window with J R’s introduction of systems clearly created for personal advantage. My colleagues were generally of the view that the proposed reforms should be expedited, the moment the current series of elections is concluded. Given the problems we had had to face with regard to the bill a few months ago, largely technical ones but also including some conceptual difficulties, to do for instance with the proposed multi-member constituencies, there is need for some quick and effective tidying up, and I hope this will be accompanied by closer attention to the principles that are involved as well as others that might be relevant. But I fear, if the delays of the last decade and a half are anything to go by, that reform will continue to be postponed, and we shall end up fighting still more and more elections, with the operative word being fighting.